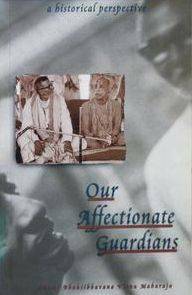 Documents the intimate relationship of Srila Prabhupada and Srila Sridhara Maharaja from their early days together, sharing quarters during the difficult days in the Gaudiya Matha and after Srila Prabhupadas' successful world preaching campaign. Visnu Maharaja gives a historical perspective which is painful yet pertinent reading. It brings to life in startling frankness both the greatest pitfall on the path of devotion, Vaisnava aparadha, and the affectionate heart of a param Vaisnava, Srila Sridhara Maharaja. 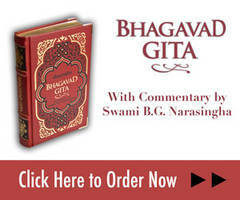 A humbling and edifying experience to read, it settles what is arguably the greatest controversy in contemporary Gaudiya Vaisnavism.